"We are not going to turn a blind eye if companies in San Francisco deny workers their pay and benefits," SF City Attorney Dennis Herrera said. Uber and Lyft are facing new pressure to turn over wide-ranging information on how they pay their San Francisco drivers. 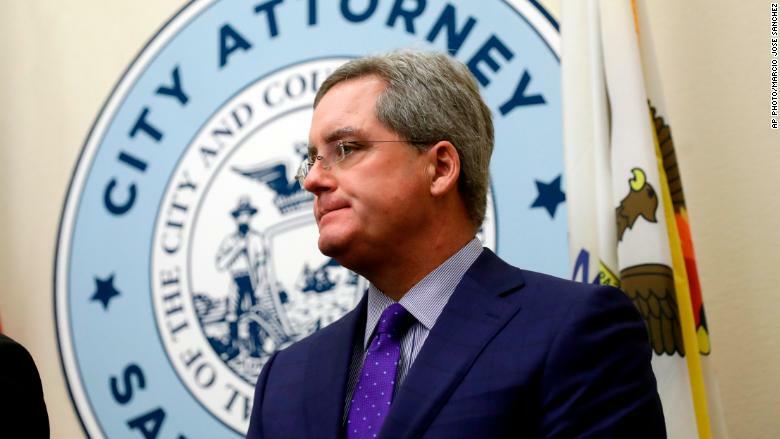 On Tuesday, San Francisco City Attorney Dennis Herrera issued subpoenas to the companies asking how many drivers they have and whether they classify drivers as contractors or employees. He also wants documentation on hours, wages and benefits. The move follows a major California Supreme Court decision that makes it more difficult for companies to say on-demand workers are not employees and don't qualify for benefits such as health care, parental leave and sick leave. Startups with on-demand models such as Uber and Lyft have long argued their drivers are independent contractors. But last month's court ruling puts hurdles in front of companies looking to classify workers as independent contractors in California. It sets up a test: To be deemed an independent contractor, a person must be doing work that is not part of the company's core business and is outside its control and direction. The ruling also requires companies to show that their independent contractors do the same kind of work for other companies. "San Francisco's laws help ensure that employers provide a fair day's wage for a fair day's work," Herrera said in a statement. "Our laws also guarantee employees basic humane benefits like sick leave, health care, and paid parental leave. We are not going to turn a blind eye if companies in San Francisco deny workers their pay and benefits." Uber, the world's most valuable privately-held startup, can afford to pay health care to its workers, Herrera said. He asked the companies to provide the information for all drivers who began or ended at least one ride in San Francisco starting in 2015. "Lyft has a long track record of working collaboratively with policymakers, including the SF City Attorney, on important issues. We look forward to helping the City Attorney's office fully understand Lyft's business model, including our relationship with drivers," said Adrian Durbin, Lyft's director of communications. He said the company's median driver earnings in San Francisco are more than $25 per hour before expenses. Last year, Herrera issued subpoenas to Uber and Lyft as part of a separate investigation into discrimination, disability access, and other potential violations of state and local laws. Lyft has handed over information related to that subpoena, but Uber has challenged it in court, according to Herrera's office.